Everyone wants to make better data-driven decisions. 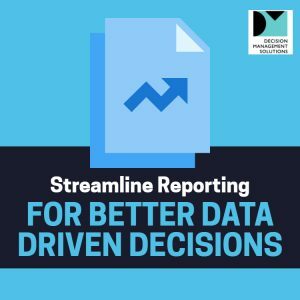 While reporting can support decision making, often existing reporting approaches seem more likely to get in the way, bogging down progress toward analytic decision-making. Take these 5 steps to streamline reporting and focus on decision-making. A simple decision model, easily understandable to business and IT, makes it clear which reports are relevant, which are redundant and what is missing. The decision model also clarifies where analytics could be included to further improve decision making, what data is relevant and what data storage is appropriate (data warehouse,data lake, etc). Register below to download our brief on how to 5 Steps to Streamline Reporting for Better Data Driven Decisions.